If you love to read and write, a major in English literature gives you a chance to do both. Character and motivation, relationships between people, ethical problems, history, cultural conflict—literature gives you a chance to study all these and more. Courses in fiction, poetry, and drama help you to develop your ability to think deeply and carefully and to express yourself effectively. If you need an outlet to express your ideas and explore emotions, the creative writing program will help you do this. After you graduate, you may find yourself getting paid to do what many people can’t—communicate well. 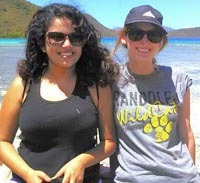 English literature and creative writing at Randolph College teach you the power of words. From Biostatistics to Harry Potter and Religion: Register now for summer online courses! 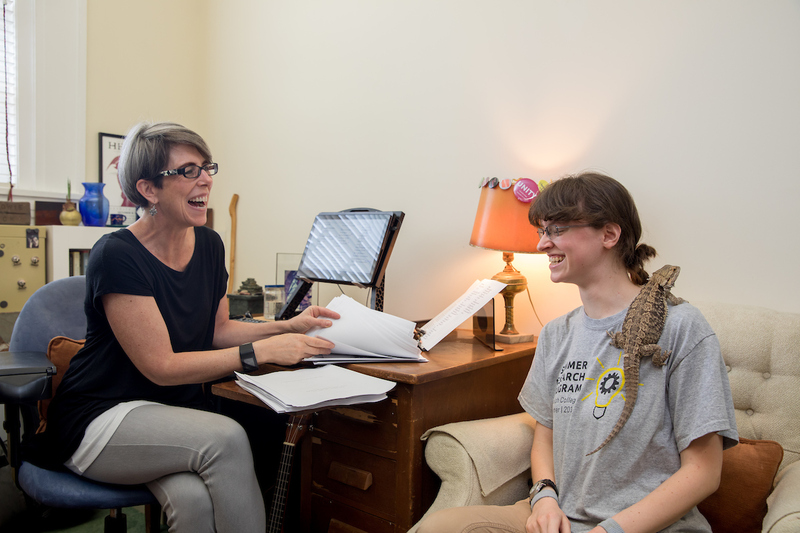 If you walk up to the fourth floor of Smith Hall this summer, you might hear the sound of music coming from English professor Laura-Gray Street’s office. And if you enter, you’ll probably find Street and Celina Matthews ’19 strumming ukuleles while a bearded dragon named Elsker watches intently from her perch on Matthews’s shoulder. Ukuleles and a bearded dragon are essential to the creative process. Summer research team compiles artwork and poetry for an anthology to be published later this year.